A version of this article appears in the September/October 2014 issue of Home Energy Magazine. This issue officially marks Home Energy's 30th year in print, which gives us the opportunity to both reflect upon where we've been and look forward to where we're going. In that vein, we asked our authors, board members, colleagues, e-newsletter subscribers, and social media friends and followers to nominate young professionals (30 years of age or younger) in the home performance industry whose accomplishments thus far are noteworthy. We pored through the nominations and chose the following 30 individuals who we think deserve recognition for their dedication to saving energy. These people have founded businesses, conducted research, crawled in attics, air sealed houses, and blown insulation—all while training others to do the same. This is, of course, not an exhaustive list of the young talent in our industry, but this group has certainly inspired us and leaves us hopeful and excited about the industry’s next 30-plus years. Anthony Colella leading his project management team through building plans. Best and Ouyang were both members of Stanford’s 2013 DOE Solar Decathlon team, which conceptualized the Start.Home—a customizable home built around a prefabricated core that comes equipped with all the major appliances, systems, and controls needed to create a net zero dwelling. Best became interested in sustainability in urban centers in high school, and he worked on commercial-building energy performance as an undergrad. Because he grew up in the Los Angeles suburbs, homes and their energy use fascinated him both for the opportunities and for the challenges they presented. 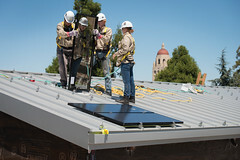 Ouyang was the project manager of Stanford’s entry into the Solar Decathlon. He also gave a TEDx talk at Stanford about the team’s design approach, which combined the modular core with behaviorally informed innovations like gesture-based room switches and kinetic artwork. Inspired by: Students and their aspirations (Best); The Silicon Valley dream and community (Ouyang). What does the industry need to stay relevant for the next 30 years? “The industry needs to realize that homes are not independent of power generation, water treatment, and other resource-providing networks. This will lead to different technologies to improve the entire system rather than just optimizing the house independent of everything else,” says Best. Over the next five to ten years, contractors and homeowners will figure out that our industry is the only way to get the job done right. “A human-centered approach to design. In the end, it’s not about sustainable homes; it’s about sustainable people,” says Ouyang. Chrimat and Williams both hold bachelor’s degrees in design from Arizona State University. Chrimat’s degree specialized in management, while Williams’s degree focused on the built environment. Together they own Ideal Energy, an Arizona-based company that does energy audits, contracting, and installation of heating-and-cooling systems under the umbrella of the whole-house approach. A shortage of architecture jobs when she graduated led Chrimat to home performance, but she’s now passionate about the industry and knows how to get her hands dirty. “You never really know what uncomfortable feels like until your face is pressed up against a fiberglass batt next to a dead lizard and your arms and hair are completely covered in duct mastic,” she says. Williams got into home performance through his first job selling residential PV systems. His company designed PV systems only after reviewing energy usage, and the outcomes of these tests intrigued him. 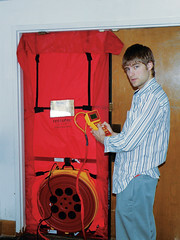 One Google search led him to energy audits and blower doors, and the next thing he knew, he had a business plan. Inspired by: Making the world a better place to live in by reducing the energy people use (Chrimat); Being able to change the way homeowners view contractors (Williams). What does the industry need to stay relevant for the next 30 years? 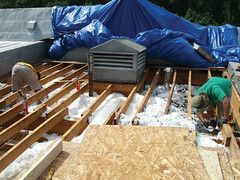 “Every single HVAC and insulation contractor should be implementing the home performance methods,” says Chrimat. “Over the next five to ten years, contractors and homeowners will figure out that our industry is the only way to get the job done right,” says Williams. Colella graduated as a mechanical engineer from the University of Virginia in 2008, and he holds all BPI certifications, including Building Analyst and Envelope Professional. He’s also a RESNET rater and a National Comfort Institute air balancer. Energy efficiency was a hot topic when Colella attended school. He grew concerned about our nation’s increasing energy consumption, and more specifically, about the fact that our demand was growing faster than our ability to produce energy domestically. Building performance piqued his interest as a way to solve this problem. Inspired by: Making real differences in people’s lives and helping to achieve our country’s energy goals. Corral works with builders and architects in the Washington, D.C. metropolitan area to achieve specific green-building certifications and to meet changing code requirements. In 2007, he started at Elysian Energy as an energy auditor. “The experience of talking with homeowners, crawling in attics, and running blower doors was only the beginning in a quest for understanding building science,” he says. To date, Corral has trained over 30 efficiency professionals in RESNET, BPI, and LEED standards and has been in over 1,000 homes to conduct energy audits, resulting in savings of over 100,000 kWh. Inspired by: Understanding the science behind performance and disseminating that information to friends, family, and strangers. Inspired by: The rapid advancement of technology used to make homes more efficient. Doyle holds a bachelor’s degree from Drexel University as well as a number of BPI certifications, including Building Analyst, Envelope Professional, Heating, Air Conditioning and Heat Pump, and Multifamily. He also holds EPA certification 608, EPA Lead Remediation, and a solar installation certification. 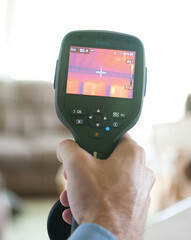 Doyle has conducted more than 1,500 home energy audits and more than 100 air-sealing projects. He now heads a company of 70-plus employees. The only way that home performance will thrive is if we can make this process convenient for customers. Inspired by: Being part of an industry that makes people’s lives easier, saves resources, and generates jobs. Godfrey started working for Southface in 2009 with the Georgia Low-Income Weatherization Assistance Program—and it was this program that laid the foundation for her career. Since then, she has trained more than 1,500 weatherization and home performance professionals on various energy efficiency-related topics. She also holds seven BPI certifications. Inspired by: The challenge of troubleshooting homes and figuring out how they work, and the rewarding feeling of helping people. After graduating from Miami University in 2009, Gring could find no work in his chosen field of architecture, so he decided to serve with AmeriCorps for a year. 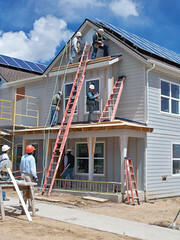 He began his career managing the Sustainable Building programs for Flatirons Habitat for Humanity, in Boulder, Colorado. He developed a passion for the work, and later cofounded BOULD, a company whose mission is to “make green building accessible and available to all.” He has a LEED AP Homes credential and is responsible for the LEED certification on 27 homes across six states. Inspired by: The potential that green building and energy performance holds for low-income families. Hallas spent many childhood summers working alongside his father (a home remodeler), which sparked his interest in the built environment. 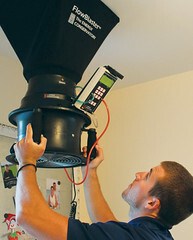 After college, he joined the Ithaca Green Building Alliance, which exposed him to the local home performance industry and eventually connected him with Taitem Engineering. He now works primarily on energy efficiency in multifamily buildings, but he also implements deep energy retrofits on the single-family and four-unit properties that he owns. Inspired by: The tremendous possibilities for growth and innovation. Cofounded by three young men with similar backgrounds, greeNEWit provides energy- and water-saving upgrades to businesses and residents. More specifically, it works with the local utilities, nationally, to implement energy efficiency programs and has retrofitted more than 40,000 residences. Harangozo was a real estate agent when the market crashed in 2007. He wanted to continue to utilize his real estate contacts while delivering value to the real estate industry, and energy auditing allowed him to do just that. He now sits on the Home Performance Data Standard XML Board and the Howard County, Maryland, Tech Council. Jannati shares his colleague’s investment in the housing stock, and got involved in home performance because he was truly interested in sustainable rehabilitation. Realizing that the energy audit was the most beneficial place to start, he became trained and certified in home performance and joined his partners in the business. In 2008, Jannati also helped to create the first solar-powered music festival. A background in real estate investments, an education in building and practice from the Green Building Institute, and consistent talk of rising home energy costs within his personal network led Notes to find two strong partners who also wanted to make changes. Notes is also a founding member of the Mid-Atlantic Chapter of Efficiency First. Inspired by: Innovation, because it improves any concept that already exists (Harangozo); Above-and-beyond customer service (Jannati); Changing the mindset and awareness of the next generation (Notes). What does the industry need to stay relevant for the next 30 years? “Education and awareness,” says Harangozo. “The only way that home performance will thrive is if we, as an industry, can make this process convenient for customers,” says Jannati. “Getting to the tipping point of roughly 16% of single-family homes serviced by 2020 nationwide. This is a huge goal, but statistics prove that if more than one in ten people become aware and take action toward a social trend with positive results, the masses will follow,” says Notes. A man named Charlie Gohman, the manager of the Arizona Home Performance with Energy Star (HPwES) program, sold Hastings on getting his BPI certification and getting involved in weatherization—and he’s been hooked ever since. As the former manager of the Arizona Public Service HPwES and residential energy efficiency financing programs, Hastings worked with regional stakeholders to found the Southwest Regional Home Performance Collaborative. Inspired by: Collaboration and the passion and innovation of those in his network. After working with Oak Ridge National Laboratory in Tennessee, Khowailed relocated to SRA’s Washington, D.C., office. The SRA team was looking for someone to manage the HPwES data processes. Khowailed gave it her best shot and has loved the industry ever since. Now her portfolio has expanded to include account management, partner outreach, evaluation study coordination, and data management. Inspired by: The industry’s ability to substantially improve people’s quality of life. What does the industry need to stay relevant for the next 30 years? Krause got his start in the solar industry, but it didn’t take him long to realize that the potential for saving energy through collective behavior change was much greater. As a result, he went to grad school to research new ways to leverage the social web to create awareness of energy use among homeowners and the general public. A graduate of the School of Sustainability at Arizona State University, Krause cofounded eEcosphere, which helps customers to develop their sustainable vision and take action to make it a reality. Inspired by: New knowledge of methods for influencing behavior change. When he was younger, Kuhn spent his summers working on his grandpa’s farm, where conservation of resources became a passion. When Hurricane Katrina hit, he moved south and spent two years working as the construction manager for a small church group, building and rebuilding homes along the Gulf Coast. “This experience of helping people with the very fundamental element of housing created a new passion,” he says. The home performance industry is the perfect fit that allows him to combine his passions for conservation and helping people. Inspired by: Individuals who work tirelessly to raise the bar. While working at Starbucks and seeing products certified as organic and fair trade, Little realized that he had to get involved in something that would help solve the problems of pollution, climate change, and wasted energy. He pursued a bachelor’s degree in sustainable business and volunteered at the Alliance for Environmental Sustainability. As the current executive director, Little now manages the LEED for Homes certification program and other green-building education programs throughout the Midwest. Inspired by: Home performance leaders who have been doing this for 20- or 30-plus years and have stuck with it. Marr has always been interested in the intersection of economics and the environment, but what lit his fire for home performance was attending a manufacturer’s solar-thermal installer course on a whim. “It opened my eyes to the building as a system,” he says. Marr boasts several career accomplishments, including a 44-acre single-family home redevelopment and the creation of Operation Green Street—a joint initiative with the Savannah, Georgia, branch of the U.S. Green Building Council to provide energy improvements for an entire city street of homes. He’s also a certified HERS rater, an EarthCraft House Technical Advisor, and an EarthCraft Multifamily Project Technical Advisor. Inspired by: Outcomes and the homeowner experience. Metzger’s father and uncle are contractors, and she grew up spending summers on construction sites learning as much as possible from them. She quickly realized that the workforce was putting its home-building efforts into speed and repeatability. That, coupled with being raised in an age of conservation, led her to the industry. In the past five years, she has been responsible for coordinating research and communications projects for DOE’s Building America program. She’s also a certified Professional Engineer (PE) in Colorado and a Project Management Professional (PMP), and is LEED accredited. Inspired by: he amazing people who have paved the way. Inspired by: People and helping others. After his initial investment, Pfund cofounded Zerodraft Maryland and began performing HPwES audits in the Baltimore Gas & Electric region. In just four years, Zerodraft has grown into a profitable company that employs more than 25 people. Inspired by: The promise of being able to offer truly cost-effective net zero retrofits within the next ten years. Courses on energy-efficient buildings, energy informatics, and geothermal energy at the University of Dayton really helped Pohlman understand the fundamentals of energy efficiency. 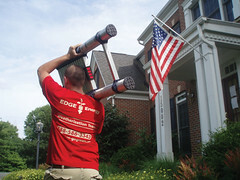 He’s now taken that experience, as well as his BPI certifications as a Building Analyst and an Envelope Professional, and created Energize Engineering—a home energy auditing business that also works with local insulating and HVAC contractors to help homeowners make whole-home efficiency improvements. 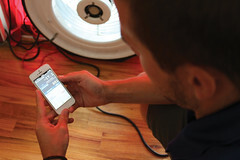 Inspired by: The challenge of figuring out what is causing a specific home to be inefficient. The industry is fragmented—every one of us needs to come to terms with the strengths and weaknesses of our own niche. In 2010, Posluszny graduated from the University of Massachusetts with a degree in building construction technology and also completed an internship with the Conservation Services Group. Following graduation, Posluszny was deployed to Afghanistan for a year. “There the inefficiency is obvious, and it makes you think about the problems elsewhere,” he says. Upon his return, his dedication to clean energy led him to design and recycle a home in Shirley, Massachusetts. He now works at Dolphin Insulation, where his primary role is helping homeowners to reduce energy use in their existing homes. Inspired by: Achieving huge reductions in energy and slashing homeowner bills. Rundle holds a degree in architecture from UC Berkeley. Her first foray into the world of home performance contracting was working as an AmeriCorps volunteer at Habitat for Humanity in Baltimore, Maryland. While there, Rundle also worked for TerraLogos Energy Group, where she learned the energy-auditing ropes. She then moved to Smart Home Services where she was VP and led the Energy Services division—training auditors and providing home performance services to local homeowners. In 2011, Rundle relocated to Boston, where she managed energy efficiency programs for National Grid. In May 2014, she accepted her current job in California with SMUD, where she works on strategy and planning for the utility’s energy efficiency programs. Inspired by: The positive impact her work has on the environment, on building, and on people. After graduating from SUNY Stony Brook University, Schweiger was talking with a family friend who urged him to find out more about being an energy auditor. “Two weeks later, I was enrolled in a BPI course and fell head over heels for home performance.” Now, as the operations manager at the town of Babylon, New York’s Long Island Green Homes program, Schweiger puts a lot of time into data. In 2012 and 2013, he conducted and completed a study that collected and analyzed energy usage information from 200 participating homes. Inspired by: The deep sense of satisfaction knowing that the work he does every day is helping to preserve the natural beauty and balance of our planet. Tetreault grew up with home performance; his father owns a company that specializes in water restoration, waterproofing, crawl space moisture control, insulation, and home energy audits. Throughout high school, he worked with his dad in the summers, and as soon as he graduated, he became a HERS rater for Energy Star as well as an EarthCraft Virginia Technical Advisor. He’s now the owner of Hometech Consulting, LLC, in Virginia, where he certifies homes for Energy Star 3.0 and EarthCraft. 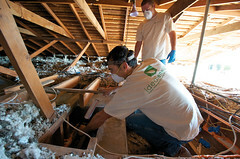 Inspired by: Taking homeowners’ comfort issues and turning them into energy-saving opportunities. Before she joined PNNL, Widder’s research interests included the effect of stove and fuel type on indoor air quality (IAQ) in rural China, and the anthropological effects of scientific research on rural communities. She began her career conducting research for DOE’s Building America program and is now involved in using whole-building performance metrics to analyze the impact and effectiveness of current sustainable- design trends. She also leads a team of engineers investigating the impact on energy, ventilation, and IAQ of deep energy retrofits in homes. Inspired by: Saving energy and natural resources and reducing carbon impacts while protecting people’s health and well-being. 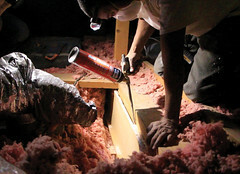 Wolfe got his start in the industry through his involvement in the Weatherization Assistance Program. Then, five years ago, he cofounded State & Local Energy Report, a quarterly magazine sponsored by the four national associations that represent state energy officials. He also helped to start and manage Project Energy Savers, which creates energy efficiency educational materials that are used by state and local governments, as well as utilities in all 50 states, the District of Columbia, and half a dozen territories. Inspired by: Intellectually challenging projects. Macie Melendez is Home Energy’s assistant editor.